Artaic was established in 2007 to make the beauty and artistry of the mosaic medium more accessible. 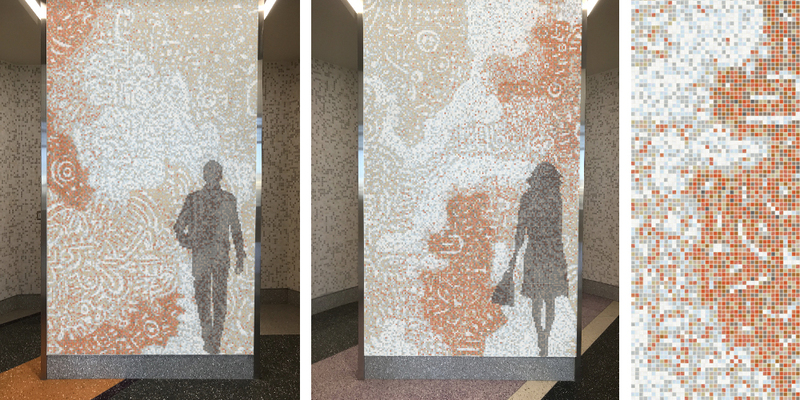 By creating sophisticated design software and innovative robotic mosaic assembly systems, Artaic brings the ancient art of mosaic into the modern age. 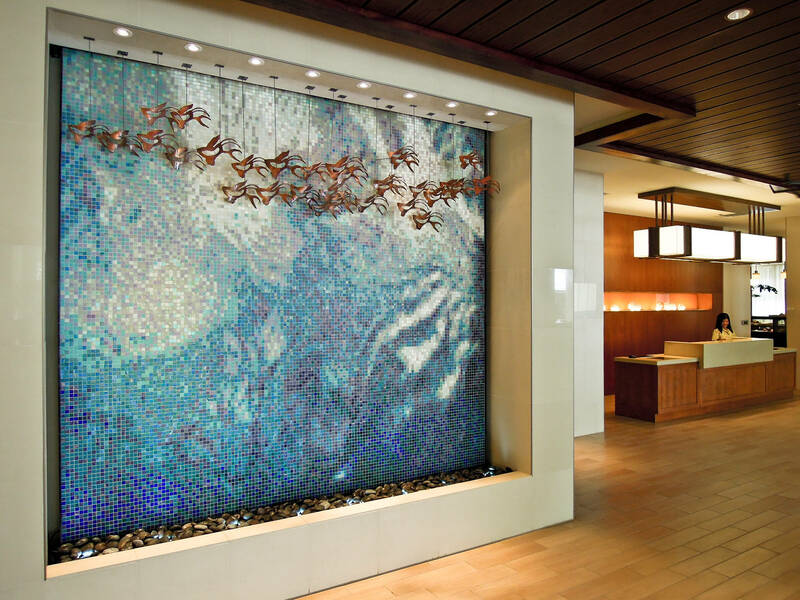 Artaic designs and fabricates custom, award-winning tile-work. We modernize the creation of architecturally compelling mosaics through fast design iterations, free sampling and American robotic production. Custom tile is now fast and painless. 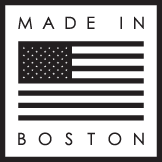 Learn more about our process. Arty is our first robot, born in 2009. Now he is joined by several brothers and sisters including Arnold, Bertha, and Artemis, as we have continually improved our unique process and technology. While traveling extensively through Europe, founder Ted Acworth encountered a number of museums and Roman archaeological sites with beautiful ancient mosaics on display. 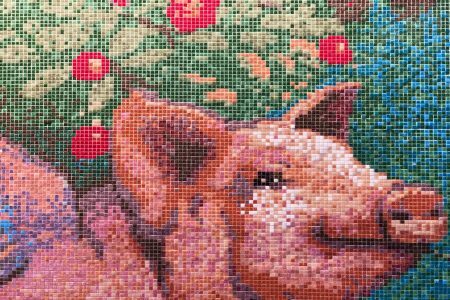 Being surrounded by art comprised of thousands of small tessera, color properties from the physical material itself, enduring thousands of years led him to appreciate that mosaic is a physical, tangible art form unlike any other. When Ted was building his home, he investigated mosaic as an option in the bathrooms, kitchen, and patio. 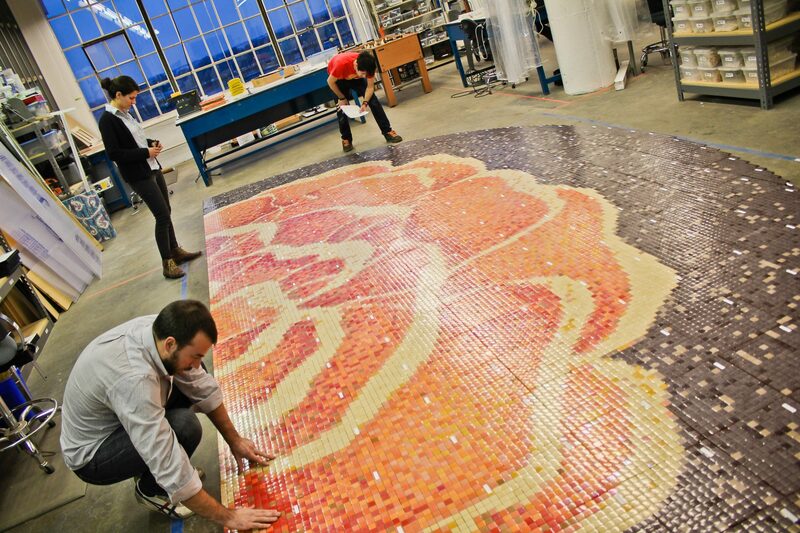 He found the process of commissioning an original mosaic installation was too complicated, time consuming, and expensive. 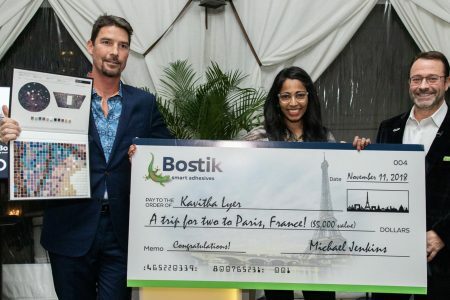 As a mechanical engineer by trade, this sparked his interest in designing a solution. He explored the idea of bringing modern technological production techniques, along with the latest artistic concepts to the ancient art form of mosaic. In the early history of mosaic production, artists would design and slaves would implement. That mentality survives today. Mosaic is often thought of as a craft and not an art, in which “craftspeople” are “coloring by numbers” to compose mosaic from the original image of an artist. When these two historically separate functions become more fully integrated, a mosaic composition can reach true artistic excellence. Great artists master the subtle differences and unique characteristics of common media such as oil, acrylic and charcoal. 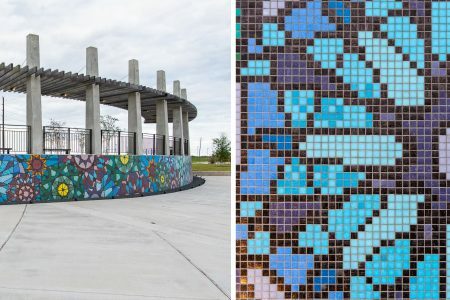 Similarly, in order to make the most of the mosaic medium and create great mosaic art, the artist needs to understand and work with its unique characteristics – physicality, material properties, surface textures, reflectivity, interstices, andamento, tessera, grout, co-planarity, scale, and more. Artaic gives artists the tools to master the mosaic medium. Our software allows for visualization and virtual manipulation prior to fabrication, experimenting with a wide range of characteristics, and then mechanization reduces labor barriers. Artaic makes mosaic more accessible to artists as a medium to work with, and thereby makes highly artistic mosaic design available to everyone.